Canada’s Freedom to Read week kicked off its 32nd annual celebrations on Feb. 21, with events including readings, talks, book clubs, and more hosted nationwide over the following week by the Book and Periodical Council. The primary push of the event is the discussion of freedom of speech and of the press, access to information, intellectual freedom, and banned and challenged books. This year’s events will touch on topics like daily community newspaper The Record’s fight against a Waterloo, Ont.–region teachers’ union, the recent banning of Jillian Tamaki and Mariko Tamaki’s graphic novel This One Summer from Florida high schools, and challenges made to 108 other books, magazines, DVDs, and policies in Canadian libraries. Some key events are listed below, but check the FTR website for all listings. Jan. 2 to March 21 – The Regina Public Library and the Saskatchewan Polytechnic Book Club host a book club reading of Anthony Burgess’s A Clockwork Orange and invite readers to send in their comments for a chance to win prizes. Feb. 6 to 26 – Montreal’s Lower Canada College invites students Grades 2–12 to learn about book censorship. Feb. 18 to 26 – Edmonton Public Library hosts a variety of banned book clubs based on challenged books. Feb. 21 to 27 – Monrinville, Alberta’s community library offers readers a chance to get their picture taken reading a banned book for its Wall of Shame. Feb. 21 to 27 – Blind date with a banned book at Humboldt, Saskatchewan’s Reid-Thompson Public Library. Feb. 22 to 27 – Winnipeg Public Library’s rendition of Monrinville’s Wall of Shame … a Mughshot Wall! Feb. 22 to 26 – Mount Royal University Library in Calgary hosts its Banned Book Reader Series. Feb. 24 – The University of British Columbia hosts OpenMedia’s digital rights specialist Meghan Sali to talk about how the Trans-Pacific Partnership will impact us. Feb. 24 – Banned books storytime at the Marjorie Mews Public Library in St. John’s. 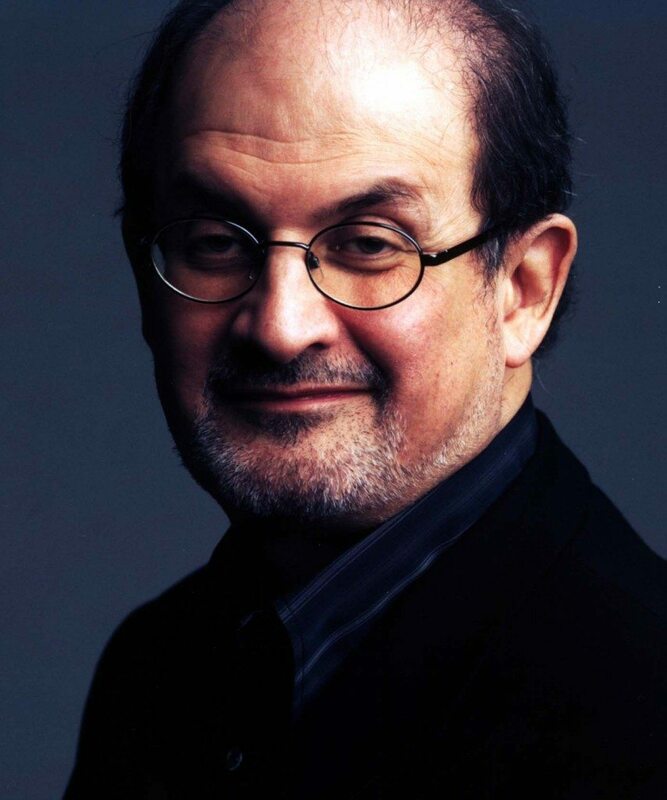 Feb. 25 – Salman Rushdie speaks as part of the Edmonton Public Library’s Forward Thinking Speaker Series at the Chateau Lacombe Hotel in Edmonton. Feb. 25 – Moose Jaw, Saskatchewan’s public library hosts cartoonist Rolli, Festival of Words chair Ted Dyck, and others in discussion about intellectual freedom. Feb. 25 – Real Vancouver Writers’ Series hosts its annual anniversary showcase with writers including Billie Livingston and Billeh Nickerson at Chinatown’s the Playground in Vancouver. Feb. 25 – fREADom read-on at the Angus L. Macdonald Library at Nova Scotia’s St. Francis Xavier University. Feb. 25 – Join a panel of professionals, including author Susin Nielsen, talk about censorship in our society at UBC. A similar panel discussion happens at Ottawa’s MacOdrum Library on the same day. Feb. 26 – After Hours: Uncensored at the Calgary Public Library features an open mic for challenged and banned books readings with some celebrity guests, a censored books story time, selfie station, quiet reading area, and more. Feb. 28 – The Underdog Poets Academy hosts a banned books open mic at Toronto’s the Central.